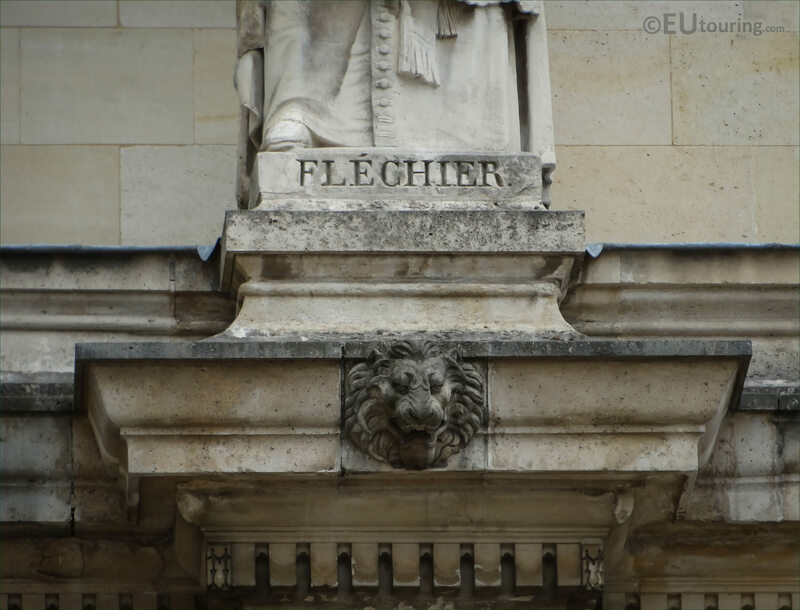 We were again within the 1st Arrondissement of Paris at the Musee du Louvre looking at the Aile Henri IV wing from the Cour Napoleon courtyard when we took these high definition photos showing the statue of Esprit Flechier sculpted by Francois Lanno. 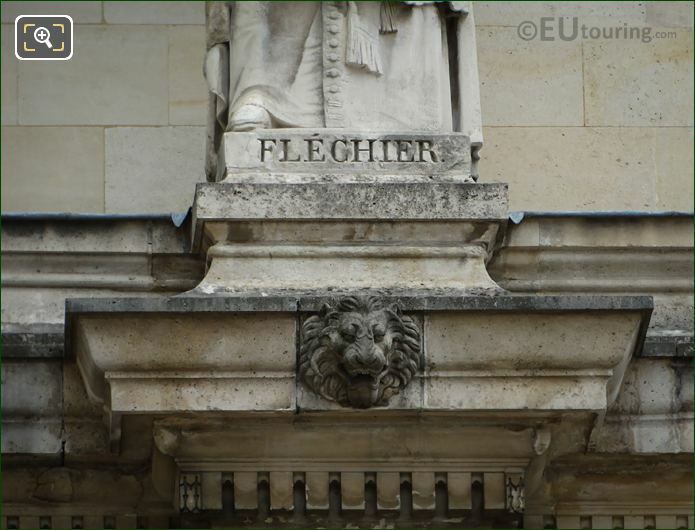 So this first HD photo shows the stone statue of Flechier positioned on the first level balustrade of the Aile Henri IV wing, and as you are looking at the facade, it is located virtually in the middle, or to be precise, fourth from the left hand side. 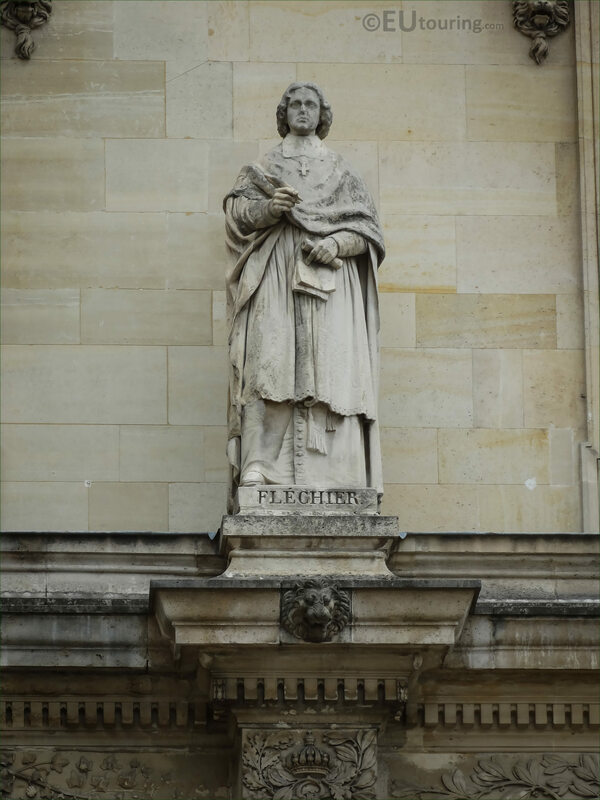 Now this statue was produced by Francois Gaspard Aime Lanno who was born in 1800 and studying painting and sculpture he eventually entered the Ecole des Beaux Arts in Paris and won the Prix de Rome, which led to him studying at the Villa Medici for four years, later being awarded the legion of honour in 1857, which is the same year that this statue was put in place on the Musee du Louvre. 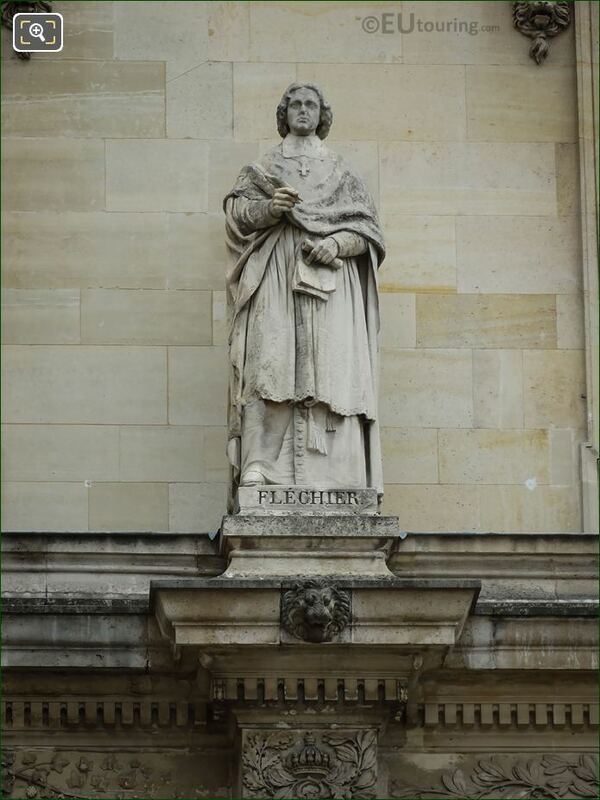 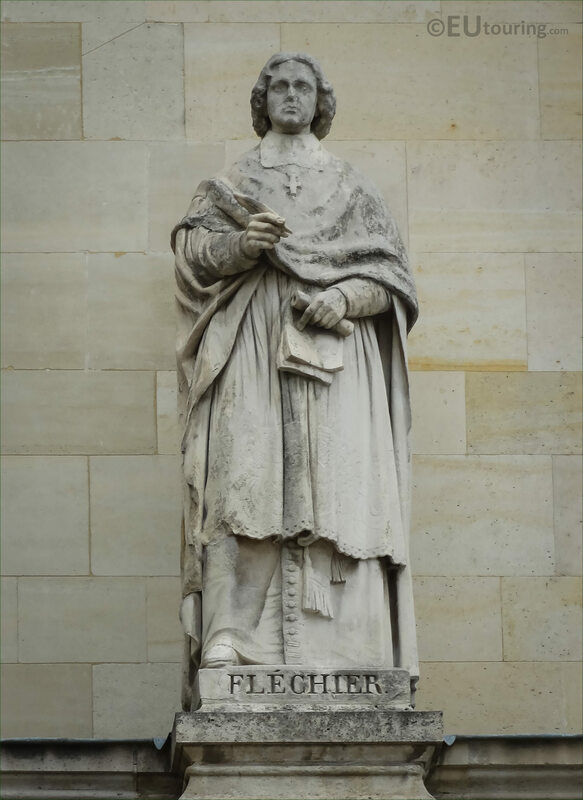 And as you can see from this close up photograph showing the base of the statue with the name, it is dedicated to Esprit Flechier who was born in 1632 and became a French preacher and author, entering the Academie Francaise in 1672. 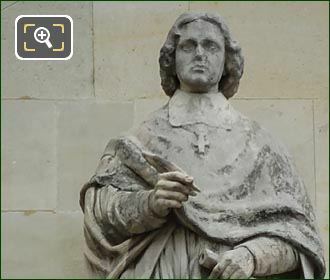 Then he became the Bishop of Nimes in 1687, which is a position he held right through to when he passed away in early 1710.